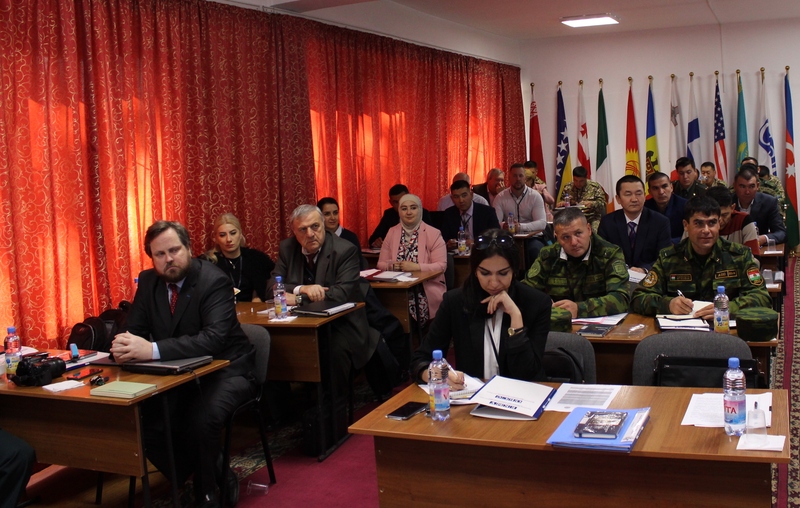 DUSHANBE -- Law enforcement and military personnel from Afghanistan and Central Asian states gathered in Dushanbe late last month to participate in an Organisation for Security and Co-operation in Europe (OSCE) course on handling improvised explosive devices (IEDs). The "Introduction to Improvised Explosive Devices" course was hosted by the Tajik Defence Ministry and facilitated by the OSCE's Programme Office in Dushanbe in partnership with United States Army Central (USARCENT), the OSCE said in a statment Monday (December 3). Twenty-one participants from Afghanistan, Kazakhstan, Kyrgyzstan and Tajikistan attended the five-day course, which concluded November 30. The participants came from Afghanistan's Interior Ministry, the United Nations Mine Action Service, the ministries of defence in Kazakhstan and Kyrgyzstan, Tajikistan's National Mine Action Centre, the National Guard of Tajikistan, the Tajik Committee of Emergency Situations and Civil Defence, the Union of the Sappers in Tajikistan, and the Norwegian People's Aid Tajikistan. 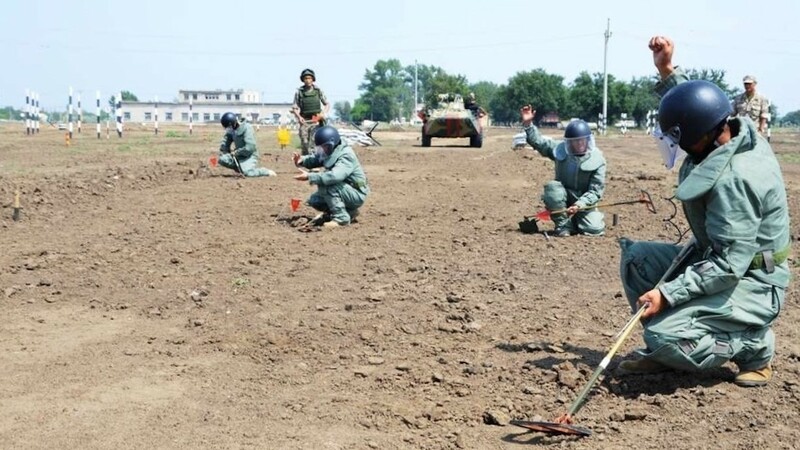 The first part of the training course included demonstrations of modern personal protective equipment and detection methods, according to the OSCE. It took place at the OSCE premises in Dushanbe and included practical exercises with the direct involvement of the participants based on mixed teams. Tim Gaetcke, a representative of Vallon GmbH (Eningen, Germany), one of the leading manufacturers of metal detectors and dual sensors, gave a presentation on contemporary detection devices. The second part of practical training included a study visit to the Regional Explosive Hazards Training Centre in Chimteppa, 17km southwest of Dushanbe, and a practical exercise on IED disposal at the training site in Lohur, 25km south of Dushanbe. The course was part of the OSCE's Integrated Co-operation on Explosive Hazards Programme. 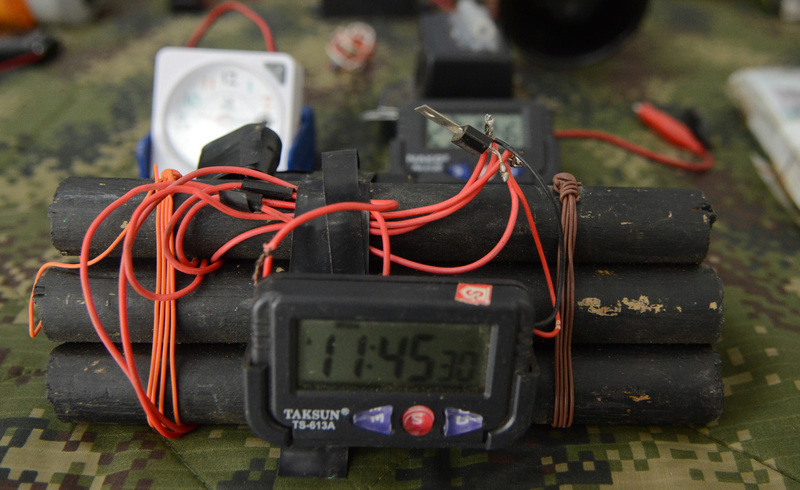 The next part of the training cycle, the Counter-Improvised Explosive Devices Regional Course, is scheduled for 2019. The final training course, the Explosive Ordinance Disposal Level 3+ Improvised Explosives Devices Disposal Regional Course, is planned for 2020. "Co-operation is the only way forward," said Tomislav Vondracek, programme officer at the OSCE Programme Office in Dushanbe. "The utilisation of this learning platform also serves as an opportunity to share knowledge and experiences." "We are grateful to our partners, USARCENT and Ministry of Defence of the Republic of Tajikistan, for their support and encouragement to continue to conduct such events," he said. "Combating the challenges of explosive hazards throughout Central Asia can only be accomplished with continued co-operation between regional partners," said Greg Niles, USARCENT explosive ordnance disposal chief. "Our long-standing relationship with the OSCE Programme Office in Dushanbe, the Integrated Co-operation on Explosive Hazards Programme, has been vital to bolstering partner nation capabilities," he said. In September, 60 military and civilian officials from Afghanistan, Kazakhstan, Kyrgyzstan, Tajikistan, Turkmenistan, Ukraine and Uzbekistan participated in the OSCE's 10th regional workshop on explosive hazard reduction and response in Central Asia, held in Astana. Participants described challenges in dealing with IEDs and listed measures they have taken to raise awareness of the threats posed by them. US, UN and British specialists shared best practices in countering IEDs with military and civilian officials from Afghanistan, Kazakhstan, Kyrgyzstan, Tajikistan, Turkmenistan, Ukraine and Uzbekistan. The Kazakhstani Defence Ministry and the OSCE jointly hosted the training with the support of the US State Department.